Abra, just like Kalinga, stands witness to the historic struggle of the people against corporate aggression. 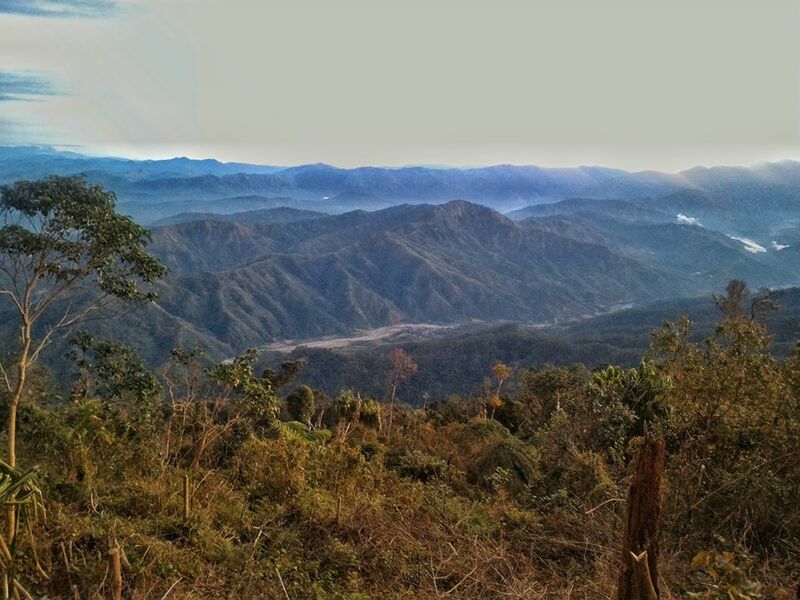 During the Marcos regime, they valiantly resisted the Cellophil Resource Corporation from logging their mountains. Despite years of civil unrest and insurgencies, Abra is now rising to the scene as a premier ecotourism destination. Yes, Abra offers more than its historic churches or cultural sites. Its vast landscape also hosts countless natural wonders waiting to be discovered. 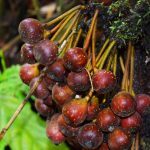 If sustainably managed, these could help boost the local economy while preserving the natural environment. 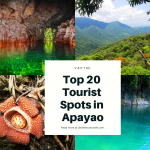 Without further ado, here are the top 20 must-see tourist spots of Abra. 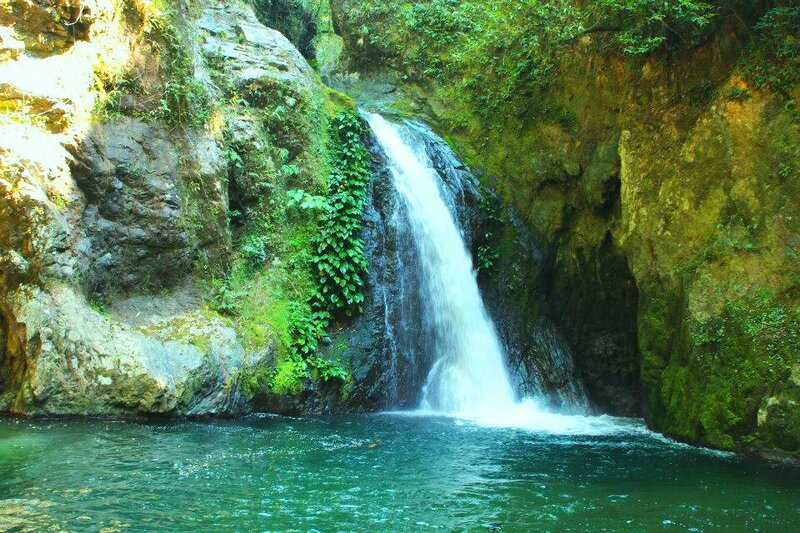 Sapilang falls now greets and welcomes every nature lover to its rustic realm. From barangay Sagap, it takes around 30 minutes of quite easy trek to get here, passing across forested trails. Oh, you will also be crossing a river so expect your feet to get wet. The falls are called because they cascade on one place. However, they are not identical. The first falls to see is tall, thin, and has multi-layers. The second falls, on the other hand, descends on a broad and bare rockface. This can be climbed. This waterfall has an extension which cannot be seen from below. By the way, one must register at the barangay captain’s house upon arriving in Sagap. As of press time, the guide fee is 200 pesos. This is perhaps one of the most famous tourist spots of Abra. Unlike most popular falls in the country, Tineg is bizarrely unique. It cascades on a terraced-like manner on bare limestone rocks. 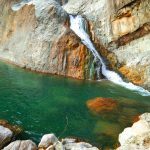 It has numerous pools along its broad stretch with crystal-clear water. According to the locals, the waters do not turn murky even during the rainy months. That is, because they emanate from an underground spring. Collectively, the falls measures around 500 meters high and 60 meters wide. The surrounding forests also add beauty to the sight. 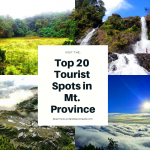 No wonders, some locals tag the place as “Mulawin.” By the way, Kaparnakan falls feeds the Tineg River. It is quite a challenge to get here. But the view and pleasure it gives is simply beyond words’ description. Biyahe ni Andrew once featured this among the tourist spots of Abra. 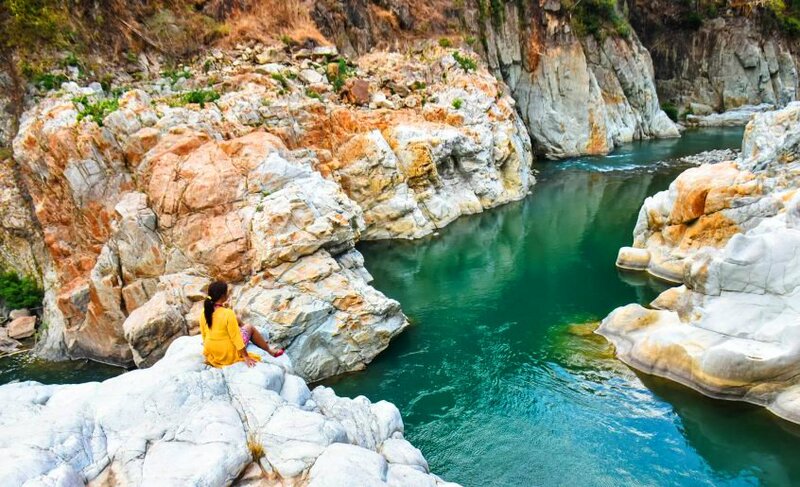 Similar to Tinipak River in Rizal, Piwek Rock Formations are a cluster of white rocks and boulders along the river. The turquoise and clear waters of the river makes this even more alluring to visit. The rock formations are becoming a popular jumping spots. The highest of which is around 11 meters. Well, the locals love jumping from this point. And many tourists tried it already. Tagpew falls majestically on the face of a massive cliff. 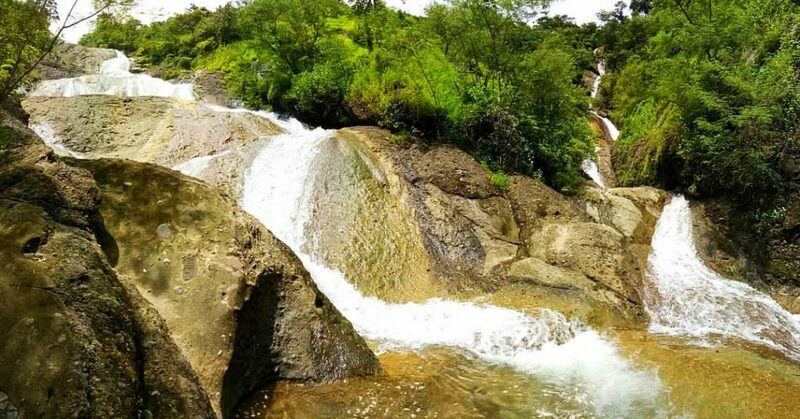 It measures around 120 meters high, making it one of the highest falls in Abra. 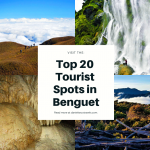 To get here, one has to hike for three to five hours from from sitio Batayan of barangay Alangtin. Thick pine forests cover much of the trail. To date, only a few locals and hunters glimpsed of the falls’ pristine beauty. By the way, Tagpao, in the local dialect, refers to a woman’s organ of copulation. 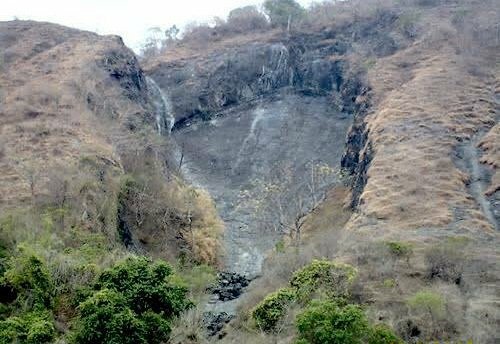 According to the locals, the rock formation at the base of the waterfall resembles the shape of the said woman’s organ. 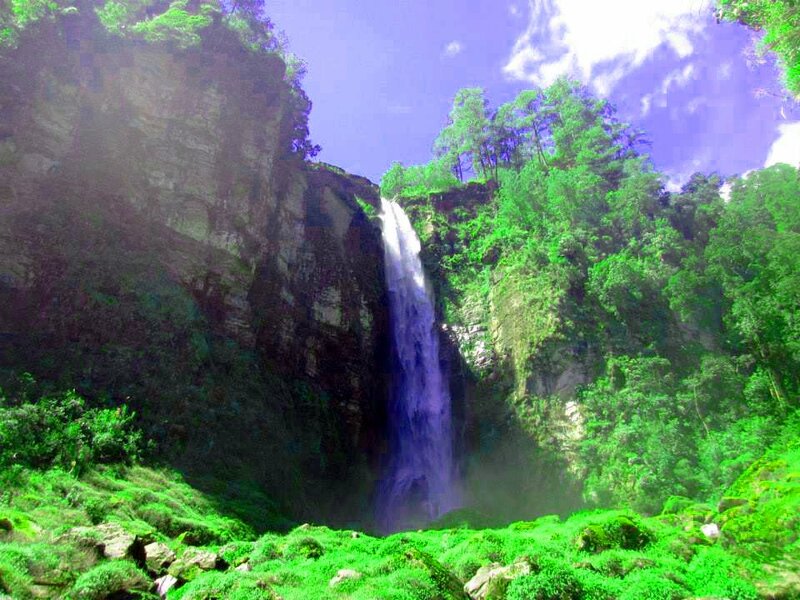 One of the rising tourist spots in Abra, Kili falls projects a rejuvenating view. 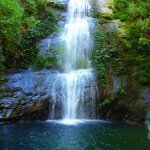 It is a small fall, measuring around 15 feet high. But don’t be deceived. The falls has a huge water volume and a powerful force that it formed a wide and very deep pool. Oh, this pool is inviting especially in the middle of the day. Its sparkling and crystal-clear waters offer a soothing bath or swim. The rocks surrounding the pool provide good jumping or diving platforms. There is also a nearby hot spring. 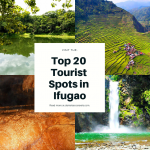 Oh, the awesome sight of the falls and the rustic environment simply makes this spot a must-see for every nature lovers out there. This is one of the famous tourist spots in Abra. It is also called Quiling Crystal Cave. According to the locals, the cave was already popular among hunters and trappers from a nearby community. It hosts numerous bats locally known as kurarapnit. Unfortunately, their population dwindled due to overhunting. 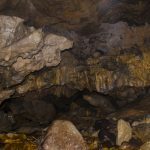 The cave has numerous chambers. 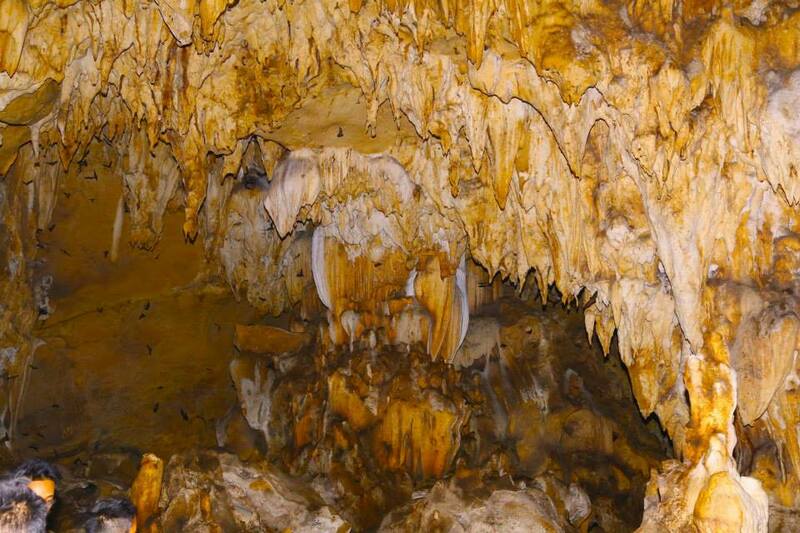 It boasts of wonderfully-formed stalagmites, stalactites, straws, drapery, and flowstones. 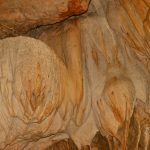 These formations portray the shape of a horse, a bird, a banana blossom, and many more. Unlike in other caves, spelunking here is relatively easy. You don’t need to wade on water, rappel, or crawl into narrow openings. You may think of this as an ordinary cave because of the narrow entrance. But beyond this, there are large chambers and columns inside. 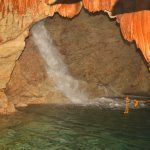 Numerous stalactite and stalagmite rock formations can be found. 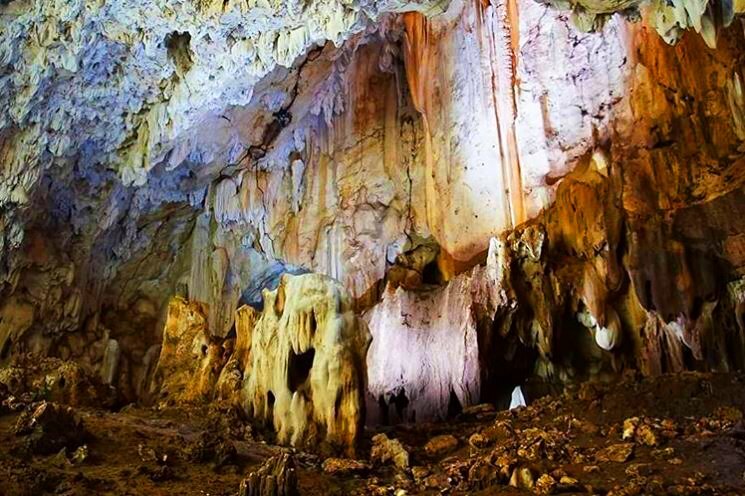 It is somehow similar to Longog cave of Kapangan, Benguet. According to the locals, the cave provided safe haven for the residents during World War II. By the way, it is sometimes called Guano cave because of the presence of bat pooping. Yes, numerous bats dwell here. Up to this date, however, the cave remains largely undeveloped. Hopefully, the local authorities will manage it sustainably as it can help in boosting community development. The falls measures around 30 feet high. Its waters carved a beautiful pool, fit for swimming and cliff jumping. But did you know that the locals consider it mystical? They say that there is a kingdom underneath the pool of the falls. For that, they say that the kingdom is responsible for the drum-like sound of the waterfall. Standing at more than 1,546 meters above sea level, Mt. Poswey ranks among the highest mountains of Abra. 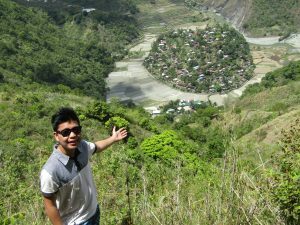 From the jump-off point at barangay Bao-yan, the trek takes around 3 to 4 hours. The trail presents challenges before one can finally assault the summit. For one, there are steep and uphill parts of the trail. Fallen trees and eroded portions also add to the menace. Further, leeches abound during especially during the rainy months. However, the views all along are rewarding. What more if one gets to the top? Mt. Poswey is a prime biodiversity area. In fact, the critically-endangered Philippine eagle has been sighted in the area. This mountain, therefore, must be given attention and protection. 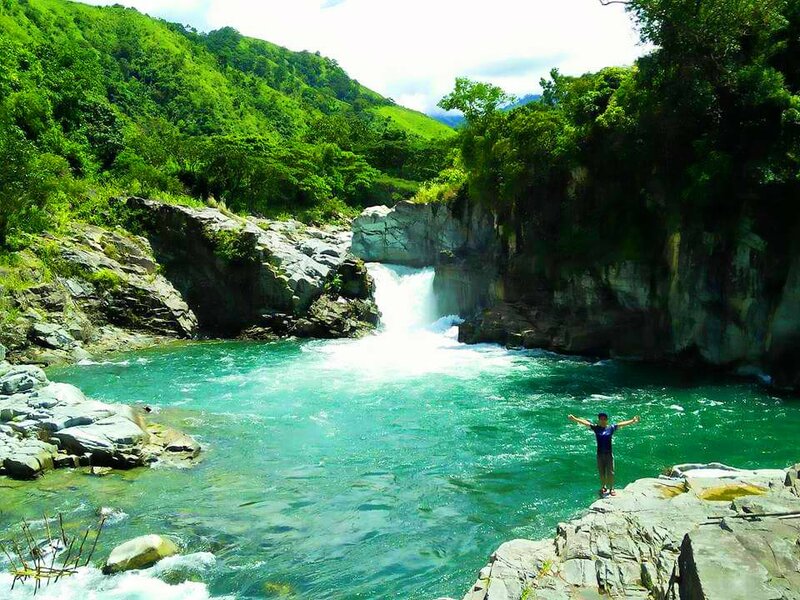 This is one of the numerous rivers found in the province, all leading to the famed Abra River. Its waters are crystal-clear. Further, it teems with different marine species such paliling and igat (river eel). Paco/pacpaco (wild, edible fern) also thrives along its banks. But what is more interesting about the river is the presence of numerous lagoons and deep pool pockets. 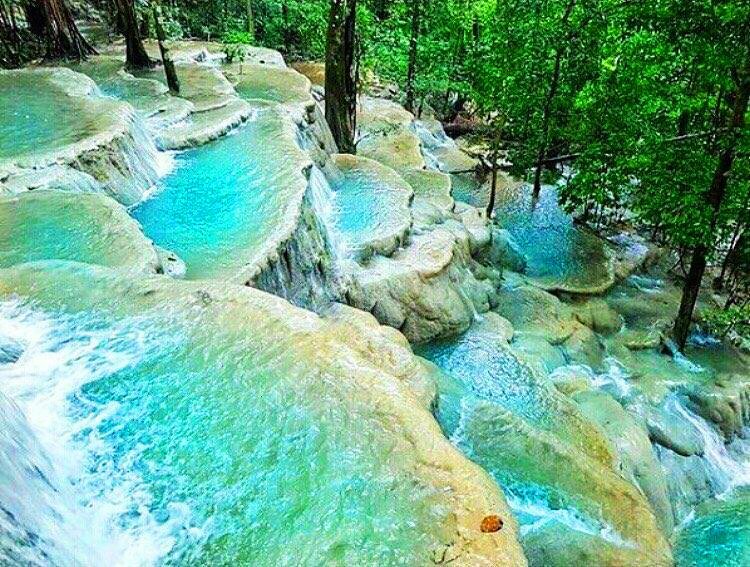 It also hides several rapids and waterfalls. Stunning, white rock formations surround some of these. A more popular one is found at barangay Nalbuan. 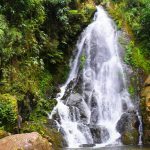 The falls is similar to Kili falls in Tubo. It measures around 8 feet high but its powerful water volume created a wide and deep pool. As I hinted earlier, big boulders surround the pool. These are perfect spots for cliff jumping or diving. 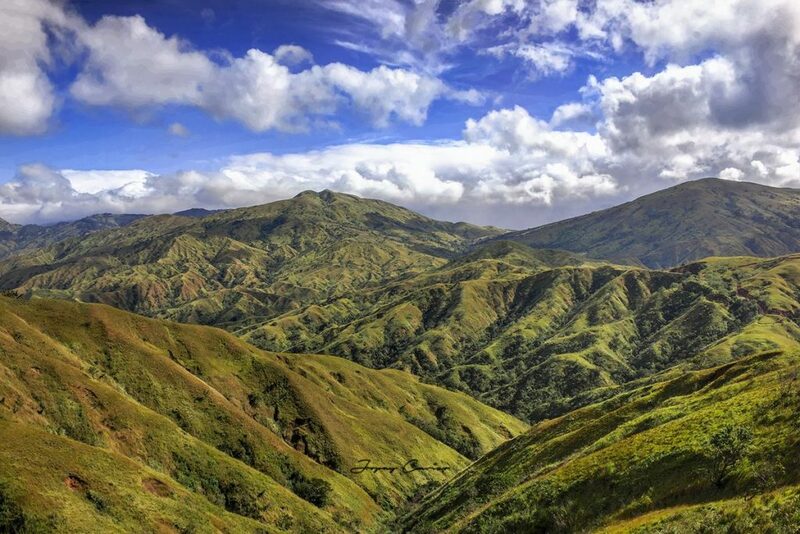 Apao Rolling Hills casts a view of the mountains like the grassy meadows of European hinterlands. From the viewpoint at Vira, one can gaze on wave-like hills as far as the eyes could see. Grasses and a few shrubs and trees cover these hills. During summer months, the hills appear brown. However, they turn green during the rainy months. Either way, the views of it are simply breathtaking. Different activities such as hiking, mountain biking, and climbing. According to the locals, however, vast forests covered these hills. However, they were heavily logged during the Marcos regime. Mt. Bullagao projects the shape of a woman laying prostrate on her back, her breasts sharply contoured, and her reclined head facing the sky. From Bangued, provincial town of Abra, the mountain looks like a woman giving birth. That is why, the Mt. Bullagao is popularly known as Abra’s Sleeping Beauty. Near the summit there is a small plateau, covered in grasses. There are also small patches of secondary forests. 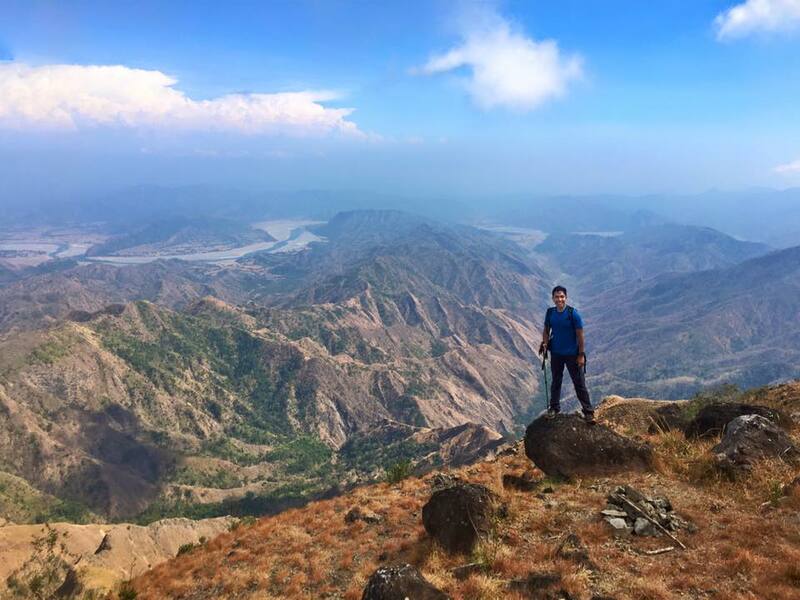 From the top and along the trails near it, one can view the surrounding mountains and plains of Ilocos Sur, Abra, and the mighty Abra River. Kimkimay lake covers an approximate area of one hectare. A local legend tells that the lake used to be a small community of seven families. The families, however, were engaged into vices, angering the gods who inhabit the place. As a punishment, the gods submerged their community into cold water. 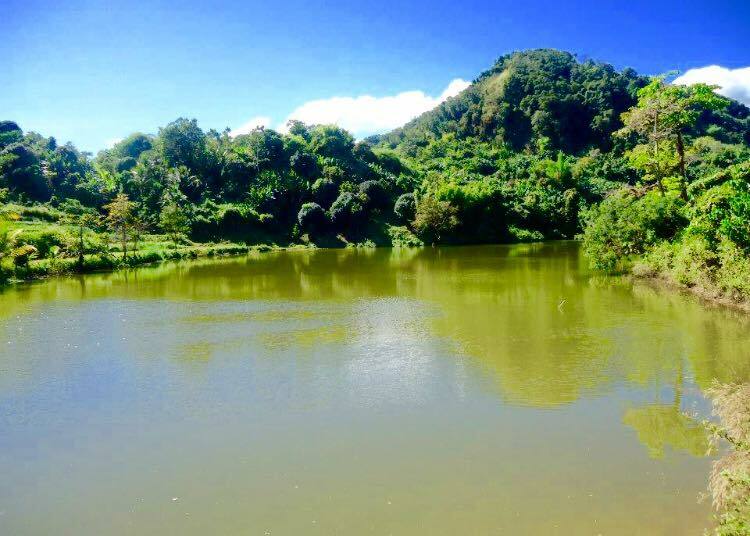 Today, the lake is a popular picnic and fishing spot among the locals. To get here, one needs to travel along the 32-kilometer winding Penarrubia-Villaviciosa- Pilar Road. Within the same municipality, there is another lake called Limbo. in San Quintin measures around fifteen meters long, five meters wide and ten feet deep. It can be viewed from a distance during clear, sunny days. Boliney Bani Hot Spring lies at barangay Bani. 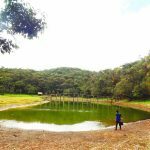 To get here, one has to ride jeepneys for some 32 kilometers of dirt road from Bangued. The place is a perfect spot for swimmers. 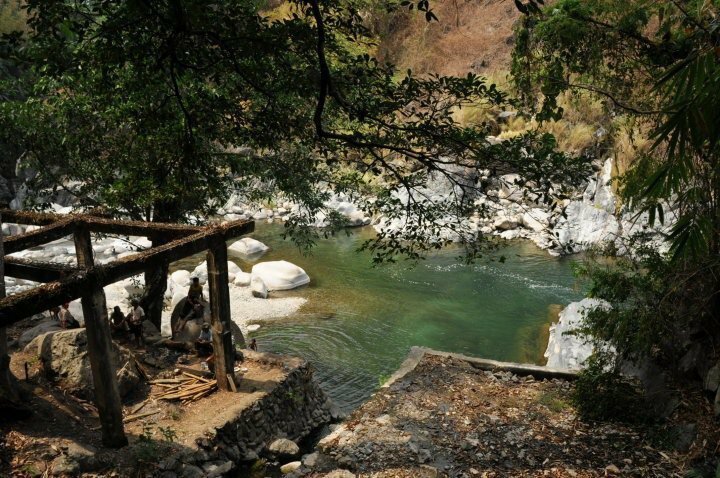 The thermal waters directly flow to a river with cold, and crystal-clear waters. Thus, the place offers a chance for both cold and warm bath. In addition, the locality offers a memorable experience of surrounding mountain views. In fact, Mt. Poswey can be seen from here. 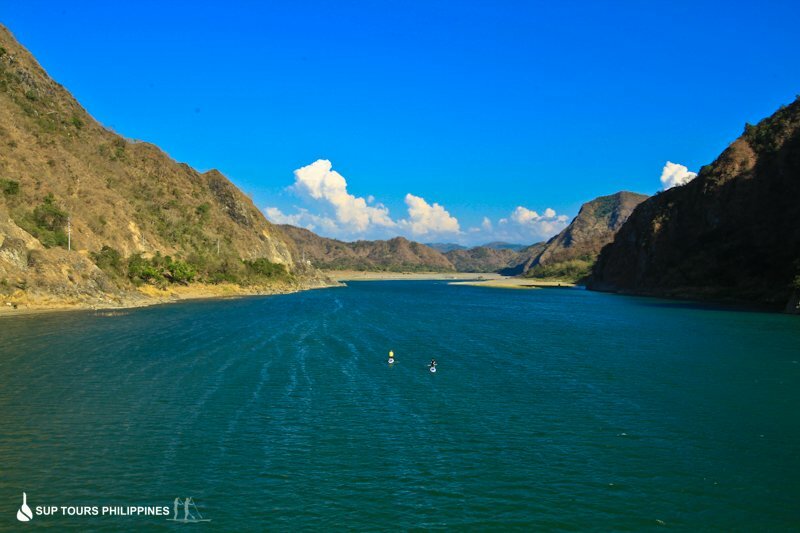 Abra River is one of the longest and largest in the Philippines. 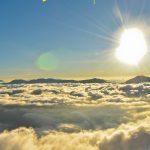 It emanates from the mountains of Mankayan, Benguet as well as the municipalities of Bauko and Tadian in Mountain Province. Collectively, it has a drainage system of 5,125 square kilometers and a length of 178 kilometers. As it passes along Abra, numerous rivers such as Tineg River and Boliney River join it. Even before the Spanish invasion, the river already played an important role among the local communities. It teemed with various marine species such as eels and fishes. Today, however, the operations of Lepanto Mines and commercial farming are causing the gradual degeneration of the river. Urgent actions need to be done to address the issue and save the Abra river. Disclaimer: This is a work in progress. 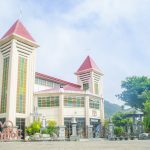 If you are knowledgeable or familiar about the tourist spots of Abra, you may suggest additional information. Iyaman!